What Are Toxic Or Unnatural Outbound Links And How To Fight Them Back Without Losing Organic Links? Irrelevant outbound links that lead to different kinds of low-quality content (e.g. adult, malware, spam, etc) are called toxic, as they can negatively impact a website where they are placed, i.e. decrease its SERP rankings or cause Google algorithmic penalty. Toxic links can be considered as a type of unnatural links – a wider term referring to all kinds of manipulative linking: black hat SEO, link exchanges, paid links, etc (Google’s policy on penalizing for unnatural links seems to be getting even more flexible with every update). The more of toxic links a website contains, the more likely it will be misinterpreted, flagged, and thus penalized by search engine robots (maybe some wise guys at Google still trust an ancient saying: ‘we are what we link to’, or whatever). Any piece of user-created content: posts, comments, product reviews, etc. Free user profiles (personal pages, albums, etc) including URL/hyperlink type fields. Any piece of website’s content with old or unattended (rarely audited) outgoing links, including a site’s native articles or other formerly useful posts. The last point (but not the least one) potentially refers to almost any link you have ever added to the site, as the reputation/status of a link’s target source can change over time, so you might end up with a few dead or unnatural links that initially were safe and useful. At the same time, good and relevant links, organically included into content, can improve your search engine position, as they are a positive ranking signal for Google (you may check this experimental research into outbound links by Reboot Online, which proves they really work). Traditionally, most of the website admins use the rel=”nofollow” tag on their links to control the SEO-related risks. However, such an approach removes the positive effects too, so it’s a reason why we have developed Sur.ly plugin – an alternative and a more productive way to deal with toxic outbound links. How to neutralize and prevent toxic or unnatural linking at a stroke? In order to remove the toxic outgoing linking from you site, and minimize the negative effects when it occasionally happens, there should be a kind of ‘link detox’ (aka link sanitation) strategy applied to your site on daily basis (the term itself traces back to the process of literal detoxification, i.e. removing of body toxins in order to improve someone’s health). No-follow alternative: Sur.ly provides a better option than just putting the rel=”nofollow” tag on every outbound link. Don’t get us wrong: ‘No-follow’ won’t let toxic links spoil your reputation, but it won’t make you happy let your good links work either. Also, it can’t protect your users that might click a dangerous link and thus infect their computers. Sur.ly will sort the things out for you: the toxic links are to be automatically dismantled, while useful links must stay in place for a stronger position of your site (you can whitelist the domains which are important for the link building). A breath of fresh air for your site: in our experience, removal of toxic/unnatural links can work wonders with almost any website, especially if we talk about a public forum or any other project with a massive log of user-generated content, and thus including dozens of suspicious links to be cleaned up for a better SERP position. ‘S’ for Safety, Simplicity and… Subdomain: to get the most out of Sur.ly, you need to create a subdomain (e.g. 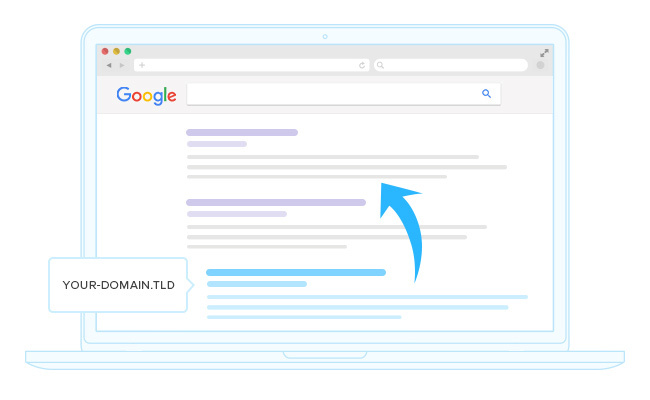 safe.your-domain.tld) that would serve as a safety buffer (or gateway) for your outgoing links – Sur.ly, in its turn, allows visitors to view the external sites via intermediate pages on your subdomain, with a few safe browsing options added. It’s easier than it sounds: our team has spent many hours to streamline and optimize the setup process, as well as to prepare step-by-step user guides on it. No room for black hat SEO: sometimes tricky spammers are trying to take advantage of a website’s openness to new registrations including creation of free personal pages/profiles with a ‘homepage’ hyperlink field within. They (the tricky guys) keep starting new accounts just to publish outgoing links and thus promote their lame projects for free, by stealing a bit of a bigger site’s ranking power. Sur.ly puts a stop to these attempts: newly published links will lead to your safe subdomain (become internal links), instead of suspicious external sources. With Sur.ly, there is no more need to audit the whole stack of outbound links on your website on regular basis, especially if it grows every day owing to user-generated content. Sur.ly will work for you keeping the visitors, links, and website safe with no extra efforts. You may give it a try: just get a free plugin for your system and set it up in a matter of minutes! Everyone who often deals with the Web has ever heard the term ‘phishing attack’. Today we will explain what a phishing attack is, reveal its mechanisms, and give you effective tips on how to recognize and rebuff any phishing attempts. How To Keep Visitors On Your Website Longer? It comes as no surprise that every website owner who worked day and night to build his/her project is always in search of ‘holy grail’ trying to invent a better way to retain visitors, get people interested, focused on the site’s content, and then straightforwardly converted into sales or sale leads. Subscribe to our newsletter to follow our updates, announcements and promotions.